Chennai: The Income Tax of India begins their raids reportedly at various politicians and other famous names of Tamil Nadu. The IT raids at the properties of current Chennai Mayor Saidai Duraidsamy’s Son and also to the former Electricity Minister Natham Viswanathan. The department also underway the raids to the leading jeweller Kirtilal Kalidas. The Income Tax searches happening at the senior AIADMK ministry leader’s residence. And their relative houses in Dindigul and also the properties of his daughter and relatives in Chennai. Also, the IT raid being searched at the Saidai Duraisamy’s Son’s house at Tambaram in Chennai. The leading jeweller Kirtilal Kalidas and the properties belong to the jeweller has also being carried under the Income Tax Ride Today on September 12, 2016. His term will end soon in this year at the lost of October. He is the present Chennai Mayor. The local body election will happen in the month of October. The Natham Viswanathan is the former Electricity minister of Tamil Nadu under the AIADMK government. 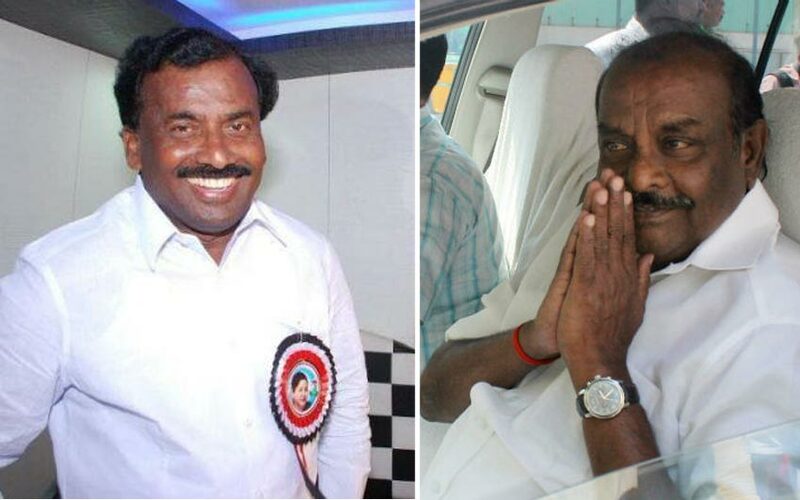 He has the contested at Attur in 2016 polls instead of his hometown, Natham. The Natham Viswanathan has become the Party spokesperson and organisational secretary in June after he went out from his AIADMK’s Dindigul district secretary.